The EFI documentation defines a simplified version of the PE32 image format, called “TE”, which is intended to reduce the overheads of the PE/COFF headers. The document in which this format is defined can be found here. 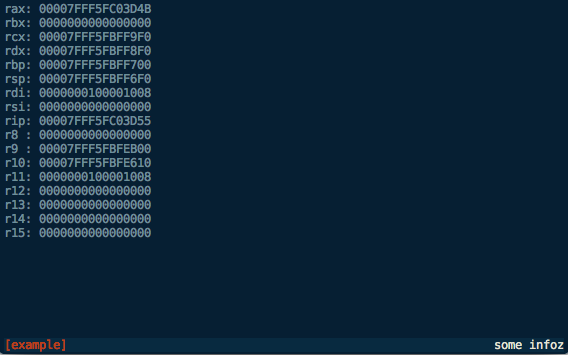 Apple’s EFI firmare (or at least one version I was looking at) uses the TE image format for the SEC phase binary, but IDA Pro doesn’t seem to understand TE, so I decided to have a crack at writing a loader to handle TE images. 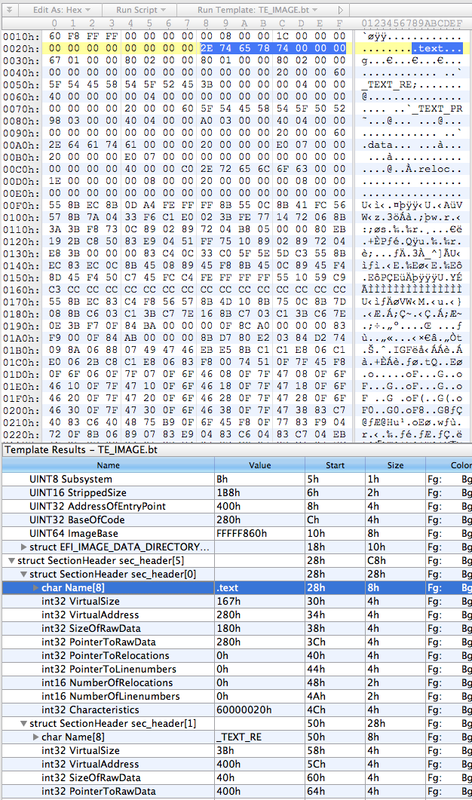 This post describes both a bit about the TE image format, and how to go about writing a basic image loader for IDA Pro in Python. Following the section headers is the data for the sections. Pretty self-explanatory - classes for the image and section headers using the struct module to unpack the headers, and the main section just creating an image object from whatever file was passed as the first argument and then prettyprinting the contents of the object. Not pretty, but it looks like it’s doing the job. 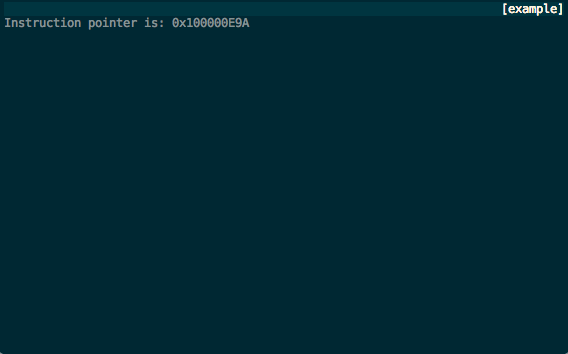 The f parameter here is an open file handle, and n is the number of times this loader has been queried so far (not really important for this type of loader). 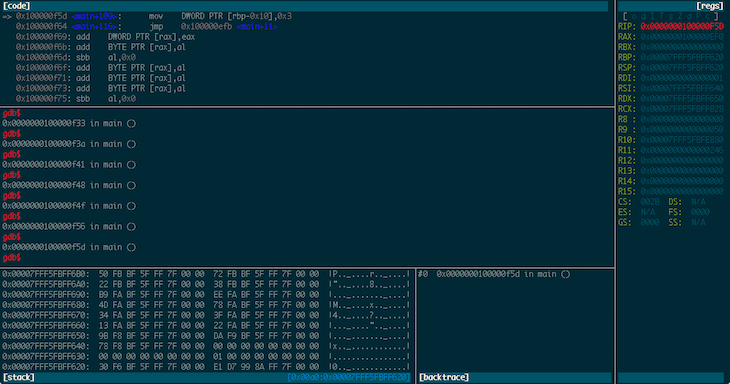 If it looks good, we return the string that will appear in IDA’s “Load a new file” window, otherwise return 0.
load_file() is where the good stuff happens. As the name indicates, this function is called by IDA to actually perform the loading of the file. Hurr. seg_type = SECTION_CLASSES[sec.name] if sec.name in SECTION_CLASSES.keys() else "DATA"
So we first use the classes we built earlier to parse the headers. Then for each section (segment) we need to determine the class (ie. whether it’s data or code or relocations or whatever), and the addressing mode (this is important because the entry point will be in 16-bit mode). 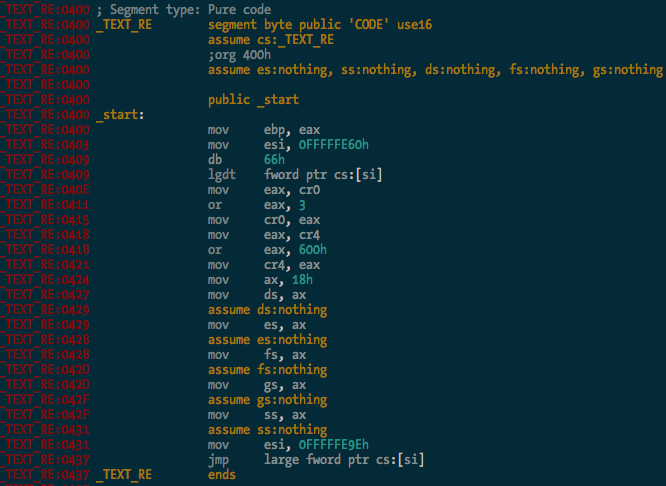 Call file2base() to read the section’s data into IDA at the virtual address specified in the section header, add_segm() to create a segment of the appropriate type at this virtual address, and set_segm_addressing() to mark the segment as 16-bit if necessary. Once we’ve added all the segments into IDA we mark the entry point, and return 1 to tell IDA all is well. 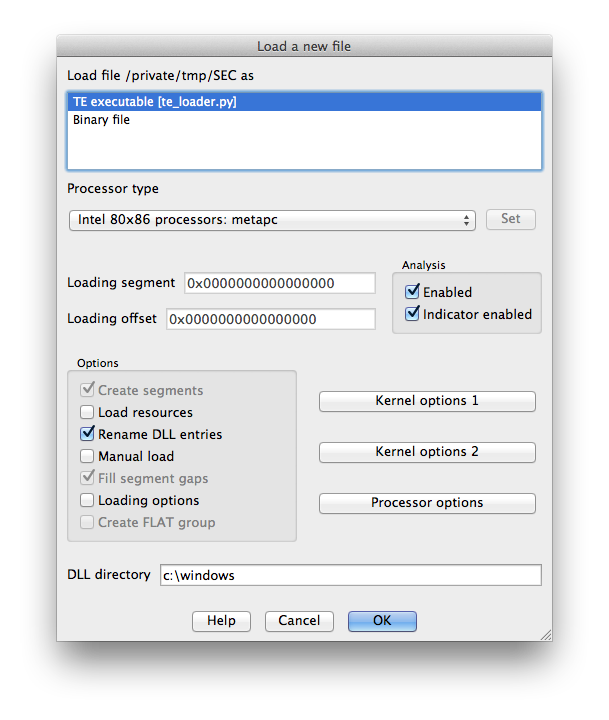 To install the loader, I just symlinked it into IDA’s loaders directory. On OS X this is actually inside the application bundle at idaq.app/Contents/MacOS/loaders/ (idaq64.app looks inside idaq.app as well). You can see it there loading the GDT, and enabling protected mode and SSE extensions before carrying on with the rest of the CPU init stuff. Good times. 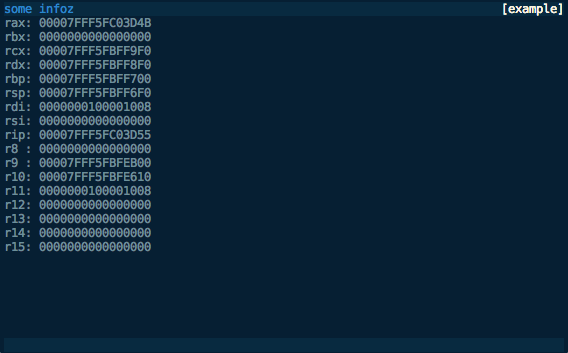 So there you go - a simple binary loader for IDA Pro in Python. I haven’t bothered implementing relocation fixups and whatnot yet, but I probably will at some stage. It’s 2:41am and I’m tired. 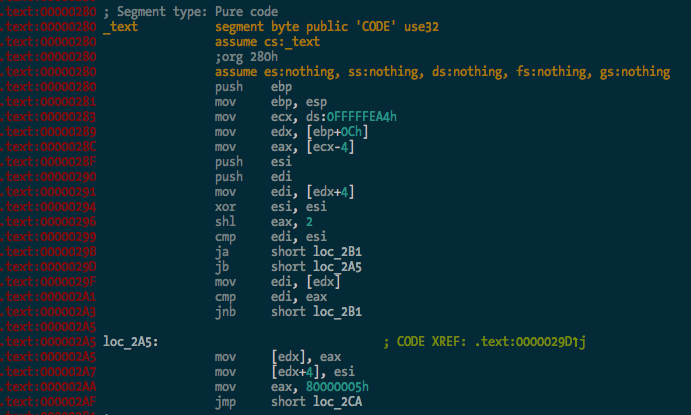 The source code is in the ida-efiutils package on Github.